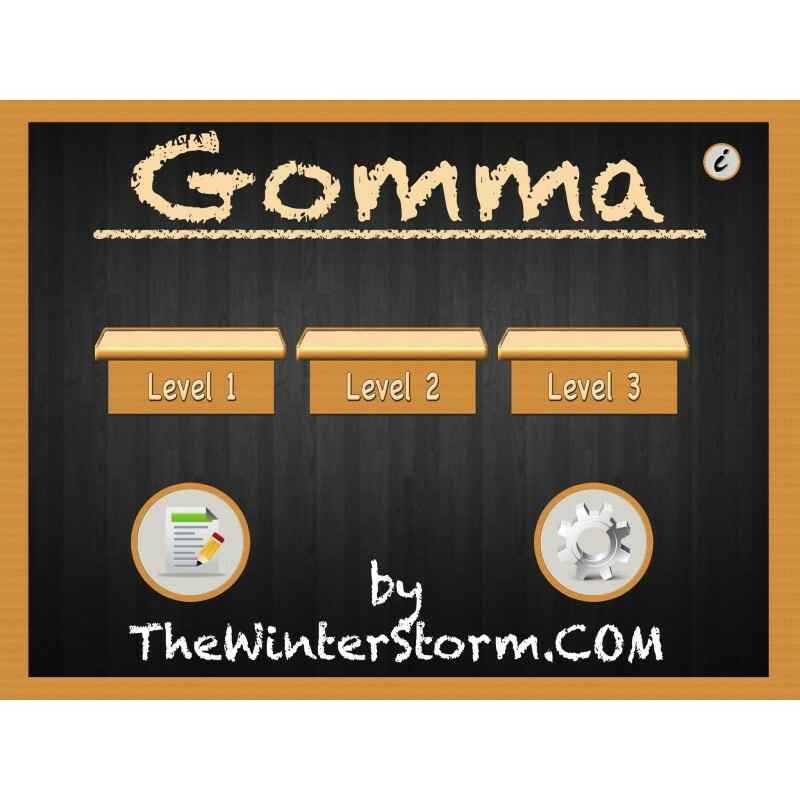 Gomma is great game to learn and practice linear equation. 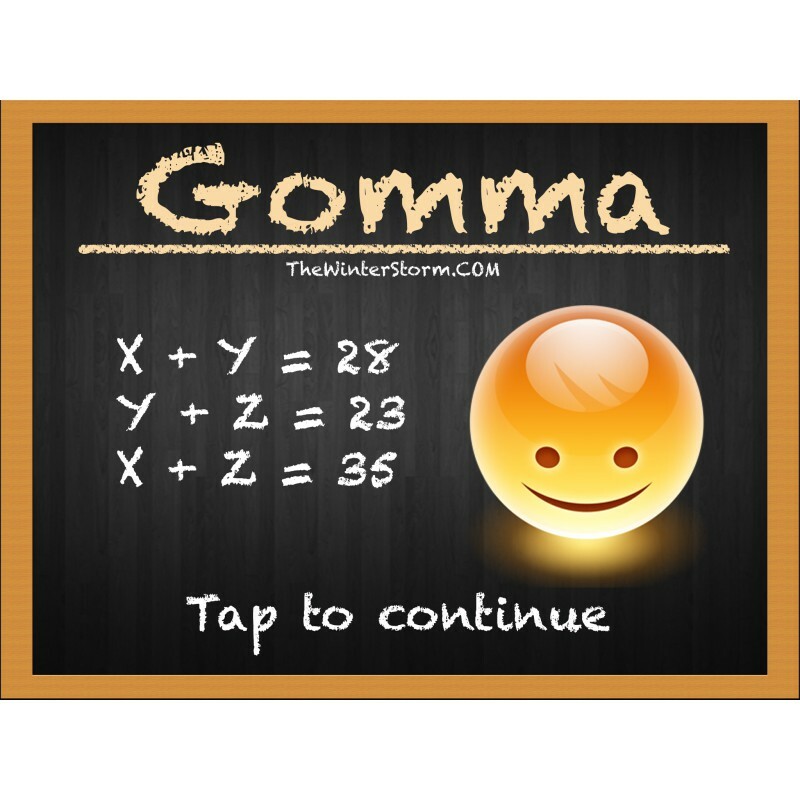 It is ideal game for children to understand basic principles for their solution. 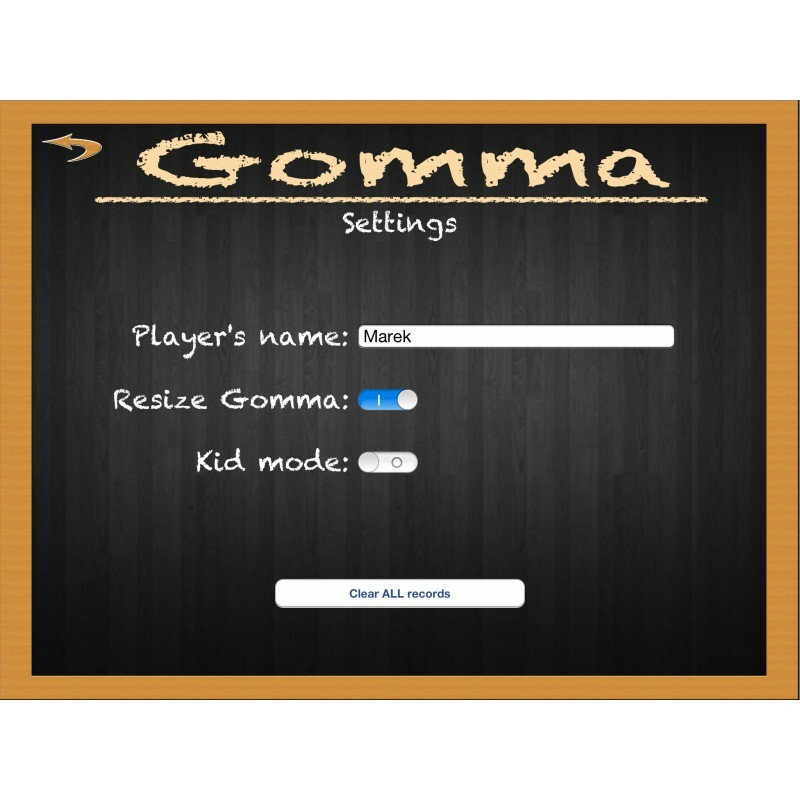 The Gomma is optimized for New iPad retina display. 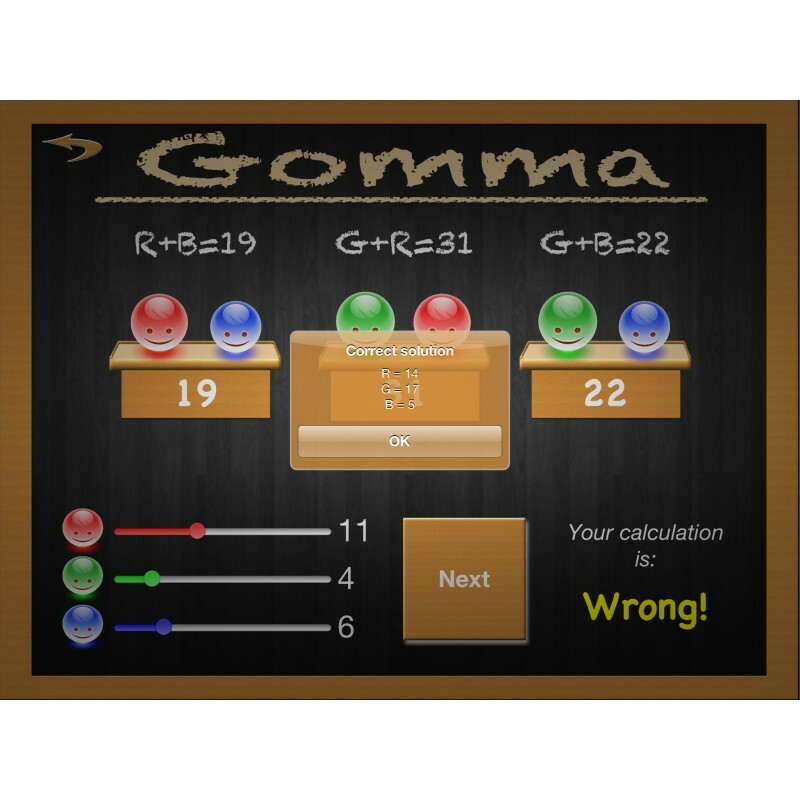 Gommas (balls), their sizes and colors will help you to easily find correct solution. 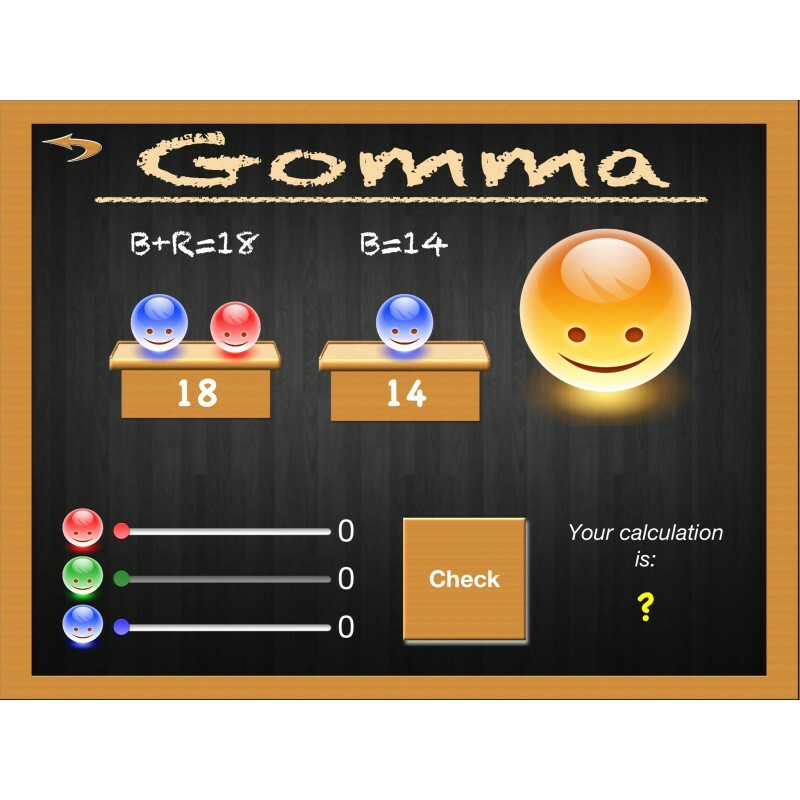 You can choose the level with one unknown variable, with two or three unknown variables. 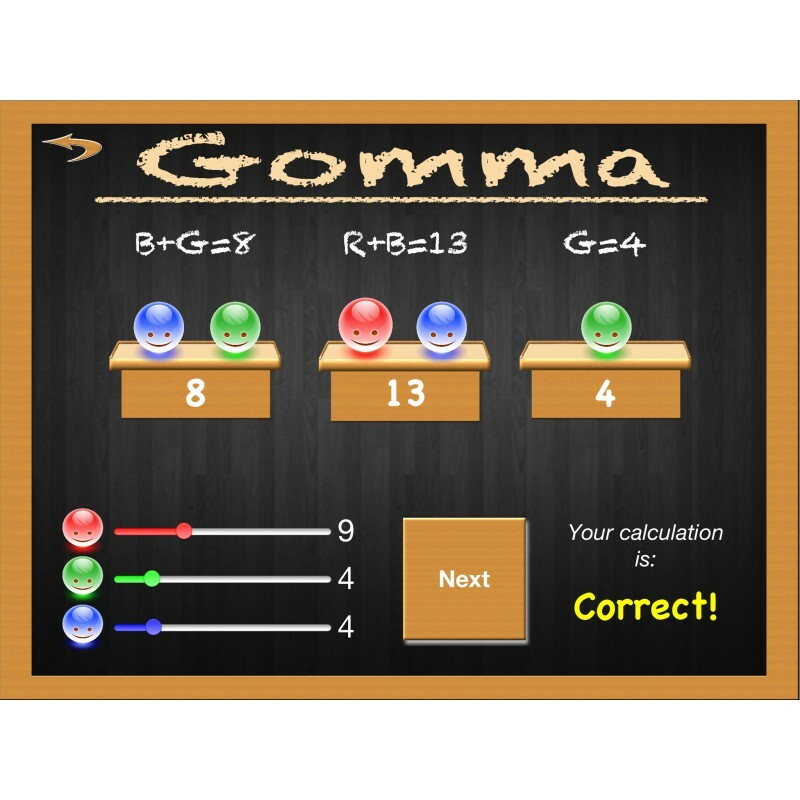 The only rule is to find out correct solution and set up each slider to correct value for each Gomma (ball). Be careful to set up correct slider ! Each game consist of 10 exercises. 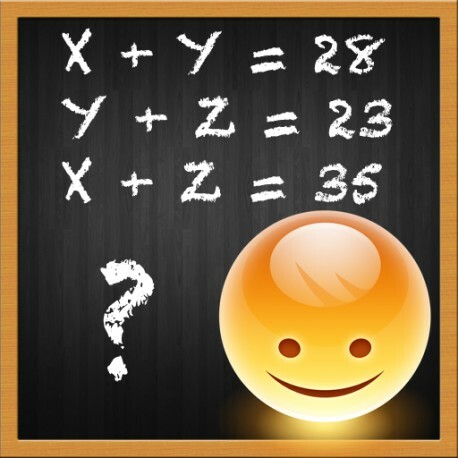 At the end of game you will get the list of your answers with success in percentage. 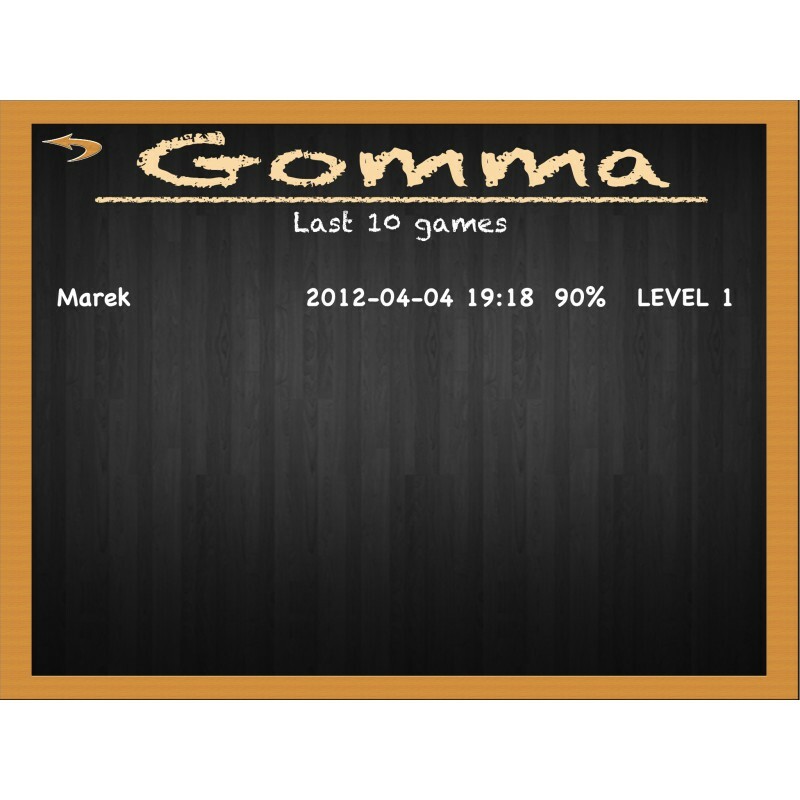 This game doesn't have usual score table, but instead there are records of 10 last played games, so you can easily check the success of the player :). There is also no time limit, so you have enough time to think, maybe to write some notes, etc. 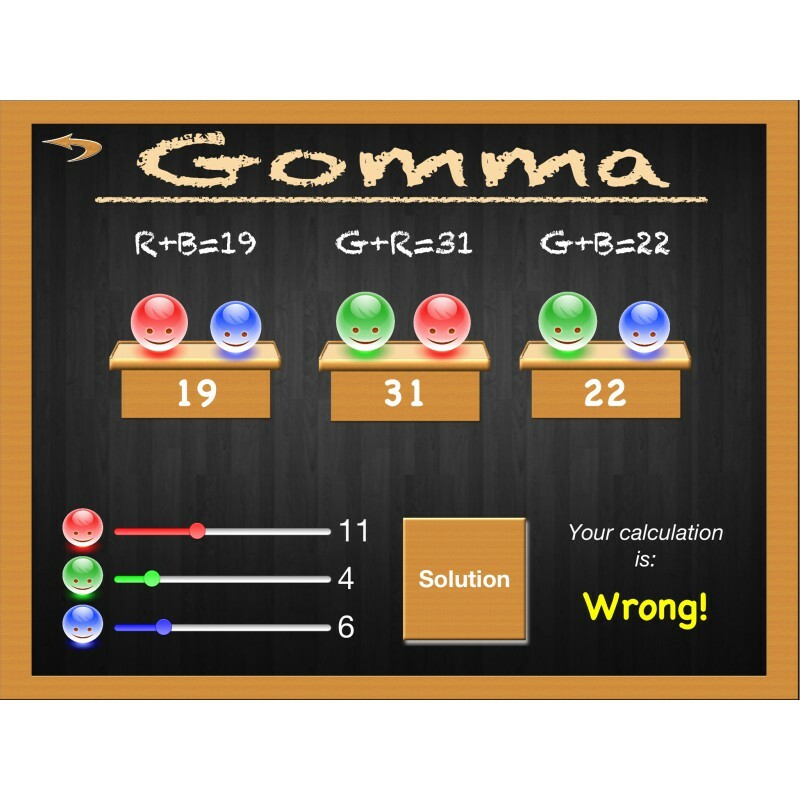 If you are wrong, the game will show you the correct solution, so you are able to check, where did you do an mistake. You are able to find on settings page some additional settings, which are doing the game harder or easier. Check by yourself.